Many people are yet to discover the difference a wool quilt makes when it comes to discovering a perfect night’s sleep. But for those of you who are yet to jump on that bandwagon, let’s go through the main reasons that render this material a superior choice. One of the main pro wool arguments is the excellent level of warmth these quilts can provide, which is equal to 4 blankets. This is due to the fact that wool is great for trapping heat, thus retaining warm air all night long while you sleep. 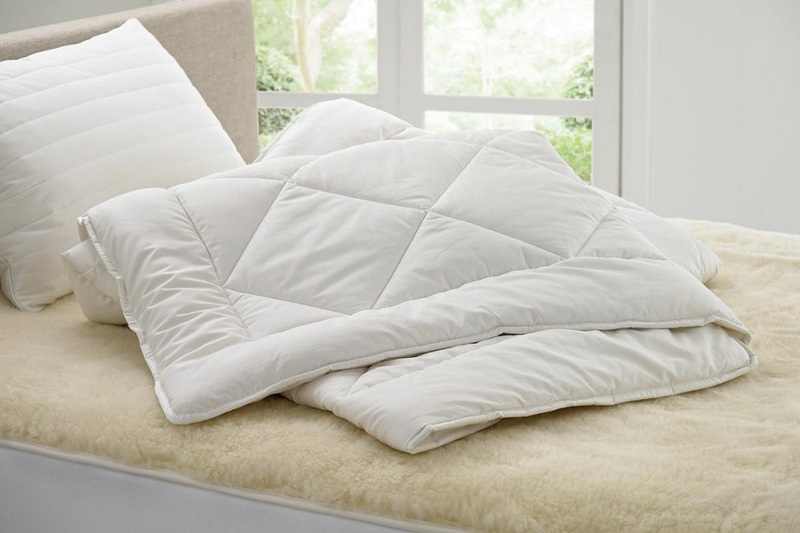 Contrary to the expectations of some people, although offering that much warmth, these quilts are actually incredibly lightweight and let your body breathe as a result of their insulation without suffocation aspect. On an even more convenient note, a great deal of Australian stores that offer this type of quilts would be happy to inform you that you are getting a well-ventilated, durable, eco-freindly and authentic Australian product, whether you’re getting single quilts or any other size – you’re in for a luxurious sleep experience. If there’s one conflicting thing about wool quilts though, that’s the case for their hypoallergenic properties. Since wool is known to cause an allergic reaction in some people, it is unclear how can it be at the same time a cause and a prevention. The reason behind this confusion is that people who have a genuine allergy relating to wool are in fact allergic to lanolin. Lanolin is the oil found in wool which is washed out of most woollen products and typically goes into hand creams, lip balms and moisturisers. In the light of this fact, if someone has a bad allergic reaction to many cosmetics and creams, it is very likely that they might be sensitive to lanolin. Also, it’s important to note that this type of allergy manifest as skin reaction alone – wool and lanolin cannot cause any type of respiratory allergy. So yes, wool indeed is naturally hypoallergenic and while it’s true that some people can be allergic to lanolin, for most people, this a harmless natural ingredient found in so many moisturisers, lip-balms and makeup. Finally, numerous scientific studies have shown that sleeping with wool bedding can help you gain 25% more of that much needed deep regenerative sleep. This means that wool helps you go more steadily through the stage 4 and 5 of sleep, which are important for health and cell regeneration. as well as an overall feeling of being well rested in the morning. So, there’s one reason more to single quilts made of wool out as superior and begin the new season wrapped in one.